All dogs are born with some degree of chasing instinct. Dogs will chase, we all know this; however, there are many reasons why dogs may give chase. The two common and closely related ones are often referred to as Play and Prey drives. Prey drive does NOT mean a dog is vicious; it means the dog has a desire to chase moving objects. Wolf cubs, for example, learn to hunt first through play. This play is honed into hunting. 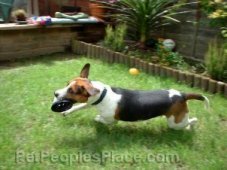 In the domestic dog, humans hone the play/prey drive into various activities: detection dogs, search and rescue, herding (a modified hunt), tracking, Flyball, Agility, Lure Coursing, etc., fetching a ball, Frisbee? or stick are also forms of a honed play/prey drive. Chasing is fun for dogs; it is part of what most dogs are. When humans move quickly, ride bikes, skateboards, scooters, drive in cars, etc. near dogs, there is a chance that many dogs will at least show interest if not attempt to give chase. If the human passes close to the dog, the dog may be able to reach the human before the owner can react. Dog reaction times are far greater than humans. What can humans do to be safer when around dogs with regards to the chase drives? Understand that fast body movements (like the flailing hands of an excited child), riding bikes/scooters/skateboards/etc., screaming and acting up around dogs may trigger that natural chase instinct. The closer the human is to the dog, the more tempting the chase may become. Dogs are animals and sometimes their instincts override training. Sadly, public education regarding dog safety lacks. 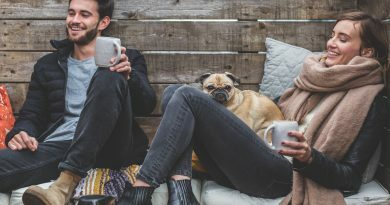 In order to not be chased by dogs (which could lead to a nip or bite because dogs do not have hands with which to catch – they have to use their mouths), the general public needs to learn what to do to avoid triggering that chase drive. If you are playing and a dog is about, slow down and remain calm – EVEN IF THE DOG IS ON LEASH. If the dog approaches you, stop and stand still. Things that are not moving, making sounds or acting up are boring. Most dogs will avoid what is boring for something more interesting. If you are on a riding toy like a bike, get off and stand still. The average person cannot outrun or out-ride the average dog and should not even try. Chances are a chase will be triggered and the human or dog could get injured. Dog owners need to understand that dogs have a chase drive and do what they can to teach the dogs when it is appropriate to chase or not to. Dogs need to be kept on a sturdy lead that is no more than six feet long. Retractable leads are often unpredictable and may fail at that moment when you need control. Also, retractable leads offer less control that a sturdy cotton or leather lead. When in public, all dogs should be on a sturdy lead. Leave the retractable leads for hiking in more secluded areas. Owners must also remember that dogs are animals and even the best trained ones may forget if the temptation is too great. Dogs are not little people in fur coats regardless of what we would like to think. Even the most pampered pooch is still a dog and will be governed by basic instincts. Therefore, safety around dogs is a two-way street. Both owner and general public have to be responsible and educated. 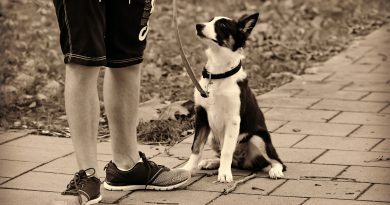 Though the dog owner may be responsible and working with the dog to create a safer companion, the general public must takes steps to ensure they understand rudimentary dog behavior and drives. If the public does not do their part, then dog owners have an even tougher job of teaching manners and desired behaviors to their dogs. If the dog owner does not do his part to ensure a safer companion, then the general public is at greater risk. Many humans get injured when a dog gives chase. Many dogs get injured when they give chase. Understanding the drive most dogs have to chase is just one step on the road to ensuring our two species can live together in greater harmony. Dog Etiquette: What’s Expected of Dogs in Public Places? Dec 4, 2018 KristaLB Comments Off on Dog Etiquette: What’s Expected of Dogs in Public Places?